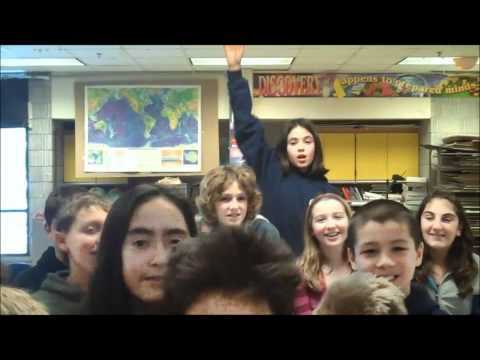 In partnership with Michelle Bartley, a 6th grade science teacher at Jonas Clarke Middle School in Lexington, MA, five WWT Ambassadors worked with 83 students during their 6-week astronomy unit in the spring of 2010. After an introductory presentation, the students explored WWT hands on through a scavenger hunt. Each group gave an oral presentation to share what they learned with their classmates; 80% chose to create their own WWT tour as part of their presentation. In addition to helping with student research projects, Ambassadors created tours that gave students new ways of visualizing concepts that were already in their curriculum, such as Moon phases, seasons, and evolution of a Sun-like star. The National Science Education Standards (National Research Council, 1996) emphasize oral presentation skills because public speaking requires students to organize their ideas and holds them accountable for what they know and don’t know. Similarly, the audio narration in student Tours requires students to present their own understanding of their topics, making their WWT Tours a remarkably useful assessment tool. After viewing all the Tours, the students’ teacher was able to review the misconceptions that most commonly lingered by the end of the astronomy unit. Earth-Sun-Moon relationships are an important part of the middle school science curriculum in Massachusetts, appearing frequently on state standardized tests. Our Pilot teacher, Michelle Bartley named the Moon’s phases as a topic that students typically struggle to visualize and understand. After the students completed their astronomy unit, we administered an anonymous quiz to Group A (79 students) who used the WWT Tour (available here) and to Group B (71 students) who used only traditional materials (see Table above). One question was designed to test memorization skills (identify a Moon phase based on a picture), and the other question was designed to test understanding (sketch a diagram of the Earth, Sun, and Moon when the Moon is in the depicted phase). Students in both groups performed almost identically on the memorization question. However, there was a significant difference in student performance on the question that was designed to test their understanding. Although students in both groups struggled with moon phases, confirming that it is a challenging concept for the sixth graders to understand, more than twice as many students in Group A than Group B were able to answer the “understanding” question correctly after working with the WWT Tour on Moon phases. As with the Moon Quiz, we surveyed two groups–one that used WWT (Group A) and one that did not (Group B)–about their interest level and self-perceived understanding of astronomy and science before and after the Astronomy unit. We used a Likert scale (1=low; 5=high) on the survey, and we present the survey analysis results in the graph above in terms of the effect size measure often used in survey research. Effect size measures the gain (or loss) in units of the pre-test standard deviation. As this is not a familiar statistic in the hard sciences, we remind readers that, conservatively, effect size absolute values of 0.25 or less indicate essentially no effect, 0.25 to 0.5 a small effect, 0.5 to 0.75 medium, and 0.75 or greater large. Each point plotted shows mean effect size, and the bars show ± one standard error on the mean. Group A (with WWT) showed statistically significant gains on all questions asked. Group B (no WWT) showed statistically significant gains in their self-reported factual knowledge and understanding of astronomy topics, but they did not show gains in interest in astronomy or science in general. Group A self-reported a significant gain in the ability to visualize Sun-Earth-Moon relationships while Group B did not, consistent with the results of the Moon Quiz. One concern expressed about WWT is that the beautiful immersive environment might lead users to lose interest in using real telescopes: our data indicates that the contrary is true.